Spurgeon: A godly mother…can any man estimate what he owes her? Here is a newly released 1970 video of Dr. Martyn Lloyd-Jones on YouTube! This is a fascinating video where the Doctor is being interviewed about the nature of Man. It’s a shame most Americans do not know why they celebrate the 4th of July! Mark Dice shows in his street interviews how a dodgy American history curriculum has led to complete ignorance about the founding of the country and its history. Ugandan Arch Bishop Henry L. Orombi on rejection of Liberalism, Homosexuality and Africa’s need for a return to Gospel centered preaching. A very candid interview here with retired Anglican Arch Bishop of Uganda Henry Luke Orombi. This was recorded in June 2013 by Lee de Young. 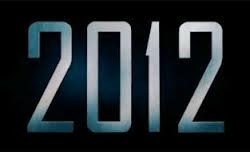 2012: The Best and Worst of the year! The year 2012 was interesting and frustrating. This year I will not feature the 10 most popular posts like I did in 2011. However I will give you a running commentary and “warm your little Calvinist hearts” with some grace and hope you won’t end up swimming back to Rome in the end. The year started with high expectations and has ended on a high note – well unless you are a Mayan apocalypse enthusiast then you might be just a tard deflated. But hey cheer up we have extra time now, don’t we? In 2012 it was interesting to see that many people were interested in reading how Veggie Tales ended up being a failed experiment. Well to be honest it was a fad that went too far into teaching kids how to be “Christian” without knowing Christ. Ironic but frankly I have come to expect this from most Evangelical fads that it doesn’t surprise me any more. Speaking of fads the year kicked off with a fad…oops thud when Steven Furtick (yup the celebrity pastor who spontaneously baptised 2,000 people in two weeks) invited Matt Chandler into a room full of orange flood lights, orange walls and orange carpets. When Matt began to preach about celebrities and supposed pastors using church as a platform for personal ambition, you could hear a pin drop. The barn burning sermon was a good fire starter for the year it and it ended with a clear gospel presentation too. But nothing prepared us for pastor Jim Murphy’s stance when he decided to root out religious junk from his lukewarm church bookstore. Murphy lamented the disintegration of Christianity and its falling away from the truth of the gospel and into more and more error – he traced the roots of today’s error to the subtle attacks on the authority of Scripture. When he finally asked “How did we get where we are?” Many expected him to point the finger else where but the wise old pastor pointed to him self and said said he was responsible for allowing his church to become lukewarm and hence forth there would be changes. Talk about the perspicuity of scripture. Don’t blink yet, that was just the beginning! How to make an appearance on TBN (Walter Martin Style -And never be invited back)! Walter Martin defending the faith, circa 1985, on TBN with host Doug Clark. Neither the host nor the guest were ever invited back and the program was not re-aired the following Monday as it was scheduled. We have heard of the antics of many urban pastors. Today we managed to get hold of a rural pastor. As a mystery Christian guest we put him to task to explain to us a couple of things in his stressed life. For the purpose of our interview as always, this Christian will remain anonymous.The sole purpose of these anonymised interviews is not to draw attention or publicity to the individual but rather to show the grace of God in glorifying Himself in ordinary lives. ATCT [A Twisted Crown of Thorns ®] : Sorry you are masked from your audience today. What is a typical week in your life like? CHRISTIAN: Busy, stress-filled and exciting all at the same time! As a preacher you never know whats going to happen next….especially in the life a rural community where everyone knows everybody. ATCT: Did you have any Christian ; influence in your youth or childhood? ATCT: What is the gospel in one sentence? Meet the Christians: A day in the life of an Ex- prosperity gospel adherent. If you have missed any of the previous anonymized interviews, please check here. “Meet the Christians” series of interviews features anonymous guests so that there is no celebrity. The interviews are evangelistic and have been simplified so that they are easy to follow and to the point. 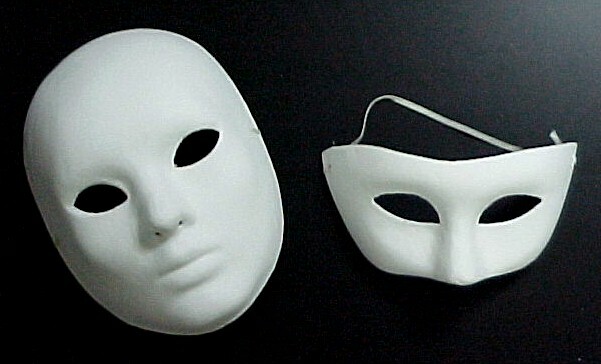 Today my guest too will be masked as we ask him different questions about what he believes. Today’s interview too is an interesting one in that my guest at A Twisted Crown of Thorns (ATCT) was once a preacher and follower of prosperity gospel. ATCT: Did you have any Christian influence in your youth or childhood? CHRISTIAN: I grew up in a Pentecostal family and my Dad was (and is) a preacher so I’ve always grown up around a vaguely Christian influence although it wasn’t until I was 14 that I heard the Gospel personally for what I count as the first time. 2. ATCT: What is the gospel in one sentence? …Read More! Meet The Christians: A day in the life of a Christian Satirist. The next guest is a satirist. He is also a Christian. But one other interesting thing is that the concept behind these anonymous interviews was originally from him (chuckle) ;). These interviews are anonymous so that there is no celebrity. They are evangelistic and have been simplified so that they are easy to follow and to the point. Today my guest too will be masked as we ask him different questions about what he believes. In case you missed the previous anonymized interviews please go here. CHRISTIAN: On Sunday, we go to church. Period. We have children and they know from example that it is important to give God glory because He is God and we are not. The rest of the week, I juggle work, Bible study, current event study, blog maintenance, creative writing (including humor & satire) for my blog and for others, research & writing for a missions database, Taking the kids back and forth to school, and generally trying to have quality time with family. CHRISTIAN: No, God saved me as a young adult. We did the lip service thing when I was a kid and it had no effect. Many church youth groups bussed us to pizza blasts and hot dog dinners but i was dry bones at that time. Praise God that he saved me and most of my family later however! ATCT: What is the gospel in one sentence? …Read More! I am grateful to God for the previous interviews and how they have been a primer for people to know more about Christians and what they believe. Today’s anonymized guest is a young man who has just been ordained as a pastor recently. He is a Christian of course, married to one beautiful woman and we will mask him first and then ask him a couple of questions to see what he believes. If you missed the previous anonymized interviews please go here. CHRISTIAN: Sunday, preaching and pastoring. Monday, chilling and chores. Tuesday, study and administration. Wednesday, pastoral visiting, study, and church meeting. Thursday, household shopping and study, Friday, very unpredictable. Saturday – family day. Throw in three or four trips to the gym and some tropical fish maintenance along with far too much net surfing, some reading, and a little television, and that is about it. Oh, apart from prayer, eating and sleeping. CHRISTIAN: Yes, both my parents love the Lord, and so do all my uncles and aunts, and of course, the wider church family. Meet The Christians: A Day in the life of a Christian serving in a War and Disaster Zone. If you have missed any of the previous anonymized interviews with Christians from different backgrounds please go here. Continuing with the same format today’s guest too has been anonymized (so that the glory of the testimony) goes to God. Today’s guest has spent over 18 years working in disaster zones. He has come very close to death countless times while preaching the gospel. He is one unsung hero in many respects but today he will tell us what drives him on even when he is far from family, friends and safety. ATCT [A Twisted Crown of Thorns ®] : Sorry you are masked from your audience today. Could you tell us what a typical week in your life is like? CHRISTIAN: I don’t usually have a typical week. Travelling, ministering and lot’s of calls from folks around the world that the Lord has allowed me to encourage and minister to. Study, reading, Praying, meditating, talking to my bride, sharing with my kids. CHRISTIAN:I had basically no Christian influence in my life as a Child. I did attend a very tiny church roughly three times in grade two. I was never one who disbelieved that God existed, I did not however have a relationship with Him. Meet The Christians: A day in the life of a single Christian lady. If you haven’t read the read any of the previous anonymized interviews click here. The guests are from different backgrounds, from all over the world and the only unifying factor is that they have been changed by the gospel message. Today’s guest is a single Christian lady, works full time and yes she will tell us what the gospel is in one sentence too. ATCT [Atwisted Crown of Thorns]: Sorry you are masked from your audience today. What is a typical week in your life like? CHRISTIAN: That’s hard to say. They’re all a bit different but generally speaking they’re filled with writing, phone calls, hospital visits (when necessary), dropping in on Church folk, posting an occasional bit on the blog, and reading, reading, reading. And then there’s going to the gym and trying to combat the woes of aging. But that’s another subject altogether. CHRISTIAN: Not at home. My parents thought of God as a big joke and when I told them I was called to ministry my mother told me I’d be happier being a garbage collector. My childhood pastors were good and decent Christians though and I was close to them. This is the third interview of a Christian. The guests have all been randomly chosen and interviewed. Their answers are authentic and original. However their identity has been anonymised. For earlier interviews click here. In this edition we sit down and listen to a Christian home schooling mum as she shares her world view and the gospel. Ready? CHRISTIAN: A typical week in my life is anything but typical. We run a small farm and home school two boys, so most days are busy, between lessons and farm chores. Spring is busy with the arrival of baby animals, summer and fall are spent in the garden, or in the kitchen preserving the harvest and winter is a bit slower, but it is also the time we are well into schooling. I am also a youth group leader on Wednesday nights year round, and a Sunday school teacher for a teen class, both of which require preparation time in advance. I am regularly active in other church activities as well, like singing services, dinners, and fun activities for the children. We are busy, but blessed. CHRISTIAN: Not really. I grew up more a cultural Christian than an actual Christian. There were godly people in my life, but not in my everyday life. Spirituality was considered a good thing, but my family was not regular in church attendance. Meet The Christians: A Day in the life of a Christian Law student. CHRISTIAN: Basically, I study, work with the clubs at my school, go to the gym, church, and spend time with my fiancee. If there’s anytime left, Disneyland works its way in. CHRISTIAN: I did. There was a man in my Southern Baptist Church who I looked up to greatly. To this day we keep in touch. I was friends with his daughter growing up. He shaped a lot of my thinking and values. ATCT: Sorry you are masked from your audience today. What is a typical week in your life like? CHRISTIAN: A typical week is being a homemaker primarily, dealing with meals, the care and feeding of a toddler, teenager and husband, and all that this entails. I spend my child’s naptime writing usually on my blog or sharing news and information through my facebook outlet. It’s a very different life than I used to have, but it’s where God has put me. CHRISTIAN: I was raised in a home of professing Christians. 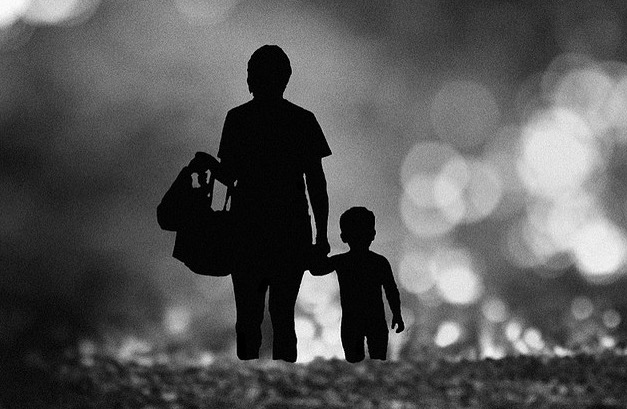 We saw little reality of that in the life of our distracted ministry father, but saw real faith in our mother’s life. She was the one who taught us Scriptures, Bible stories and hymns and songs. She was a prayer warrior and she prayed for all of us. Grateful for that.